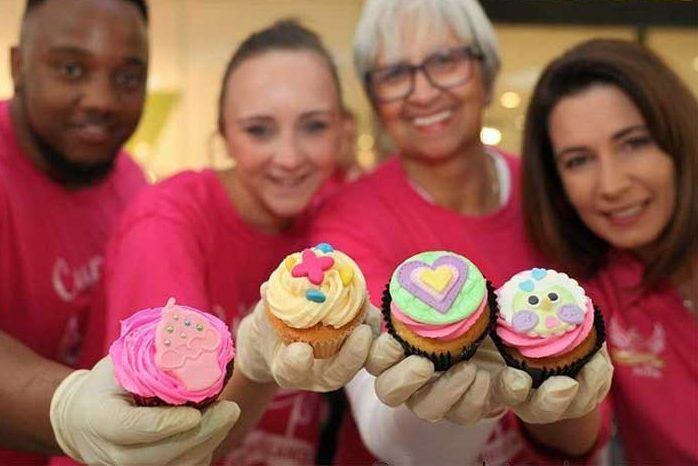 Since 2015, SPAR South Africa has supported Cupcakes of Hope, a non-profit organisation that raises awareness and funds for families affected by cancer and in need of medical assistance. The funds are raised through community bake-offs held throughout the year. In its first year of sponsoring the organisation, SPAR South Africa helped to set a new Guinness World Record for the largest cupcake mosaic. This year, SPAR was once again very active, donating baking ingredients to help towards raising R6,7 million (over €400,000) for children affected by cancer. Cupcakes of Hope holds several events throughout the year with their biggest event being the hosting of South Africa’s National Cupcake Day 4 Kids with Cancer, held each year in September. This is an entirely community-driven project and an amazing event that brings the whole community together. The organisation encourages schools, companies, clubs and all groups to get involved by baking a batch of cupcakes for sale on 29 September 2018. As September is Childhood Cancer Awareness Month, leaflets are also distributed at these events, giving useful guidance on early cancer warning signs. Read more news from SPAR South Africa. SPAR South Africa was established in 1963 and operates four retail formats: SPAR, SPAR Express (operated in conjunction with Shell as a petrol forecourt store), KWIKSPAR (which focuses on convenience in city centres and high footfall locations) and SUPERSPAR (similar to the European EUROSPAR Supermarket in offer and size). South Africa was the first country outside of Europe to join the SPAR organisation and continues to grow; granting licences to independent retailers to operate stores under one of the four formats, with almost all of the current store portfolio being independently owned.